5.0 out of 5 starsA Story of Survival! 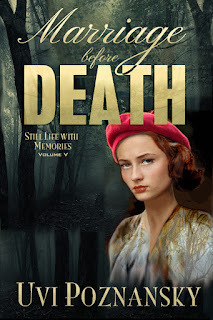 Marriage before Death, is the fifth novel in the Still Life with Memories Series, but read well as a standalone novel. Lenny Kaminsky must face the fact his beautiful, beloved wife is suffering from Alzheimer’s. Her memories are fading, and make their time together all the more precious. They met and fell in love in France during the days leading up to D-Day which makes the war they are fighting now-Alzheimer’s-all the more poignant and heart-wrenching. I love this author’s writing. She brings the turbulent wartime landscape to vivid, unforgettable life and yet guides the reader through with a beautiful love story. I give Marriage Before Death 5 lovely kisses- A Highly Recommended Read!